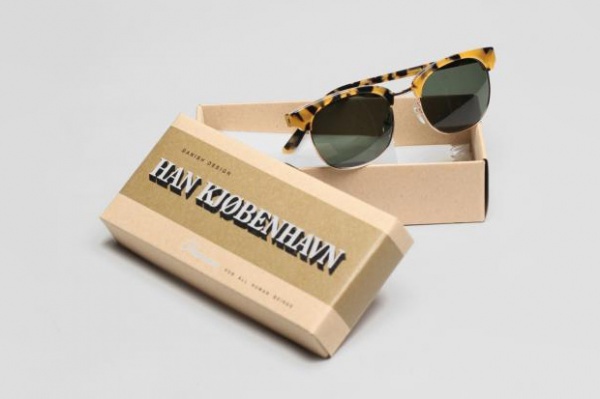 Danish designer Han, the creative vehicle for Han Kjobenhavn, has created some stunning vintage-style frames for the Fall 2010 season. The carrera style frames pictured above are characterized by a prominent tortoiseshell tone, available in the amber pictured, or army. All frames come in some equally beautiful vintage packaging. Available for purchase at Norse Projects.